Call us at 1-855-MMC-WELL (1-855-662-9355). Whether you are recovering from a short illness or injury; trying to manage a chronic condition or serious disease; transitioning from a hospital stay; or just looking to make better health choices, everyone can use a little help. 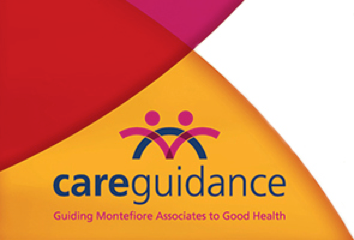 You do not have to see a Montefiore physician or be chronically ill to get help from the Care Guidance Program. It’s entirely voluntary, completely confidential and totally free! *MonteCare EPO, MonteCare PPO, MontePrime EPO and Registered Nurses (NYSNA) Health Plan. Family members on your health plan are also welcome to use the Care Guidance Program.